Welcome to The Notch Knocker! 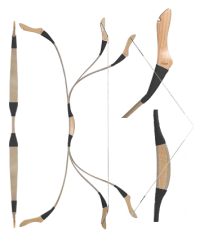 We are fletchers, but also sell bows, archery accessories, fishing gear and other accessories for sports and hobbies. Though we cater to reenactment groups, we sell modern equipment also. 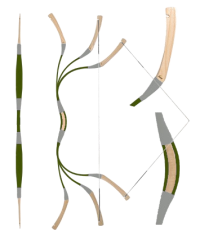 Bows: colors and weights vary Arrows: made in any weight horsebows, longbows, and color combination. 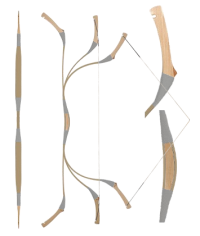 All arrows are spline tested and matched. Weight of spline, tip, size of fletch, and diameter all make a difference. 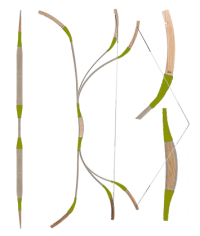 Choose your nock and fletching colors.